It's 1983 and the dead are rising from the grave. Who can save us? 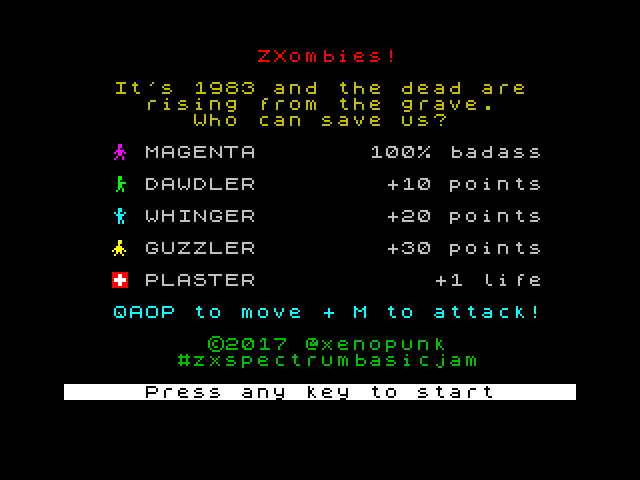 You play Magenta, the 100% badass zombie slayer. As the sole survivor of her family, Magenta is on a mission to rid the earth of undead scum. Looking cool while she does it is a bonus too. Traveling tirelessly from market town to village, she trawls the graveyards for sport collecting trophies from the wretched prey. How much can she collect before the dead overwhelm her? Install the emulator and then open the .tap file to play. Wow. 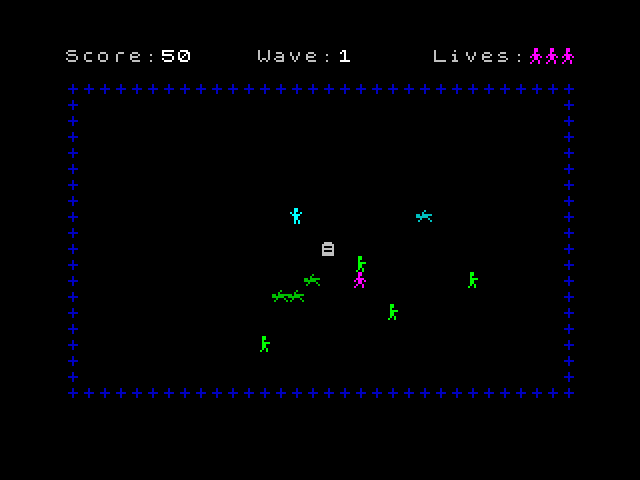 That's pretty cool, you made a game that runs on the ZX Spectrum. Well, emulator.